Fish soup or chowder in one of the true delights of an early winter evening this time of year. 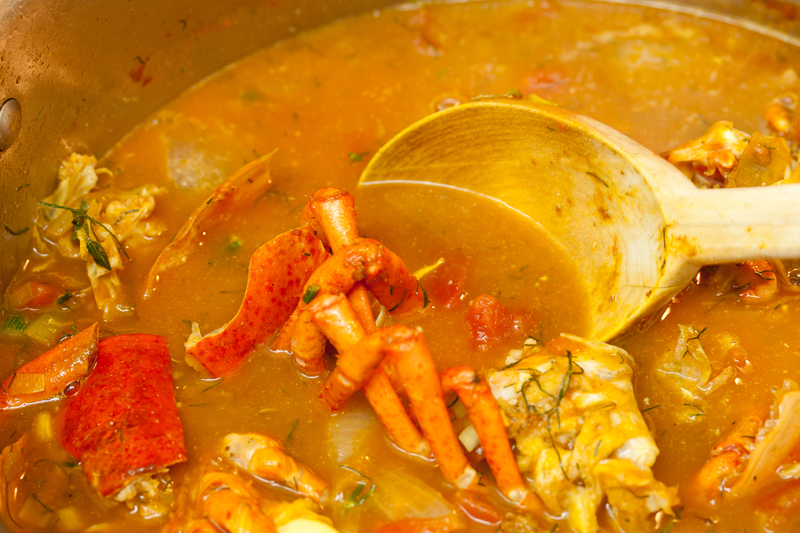 There are so many delicious soups that it is hard to list them: clam chowder – both New England and Manhattan – cioppino, fish stew, seafood gumbo, and on and on. Probably the most elegant of all, though, is bouillabaisse. In Volume I of “Mastering the Art of French Cooking”, Julia Child reminded us that bouillabaisse started out as a simple fish soup made from the catch of the day or from leftovers of the fish monger. These days, though, the soup has morphed into something special served at the best restaurants. There are hundreds of variations of this French classic, and each is claimed to be more authentic than the next. Whenever we visit our daughters, they always try to make something special and yet also play on one of our favorites. This year, we visited our daughter in Los Angeles during the Thanksgiving week. This is her version of bouillabaisse, based upon a recipe by Alfred Portale in his classic cookbook, “Gotham Bar and Grill Cookbook”, Doubleday, 1997. 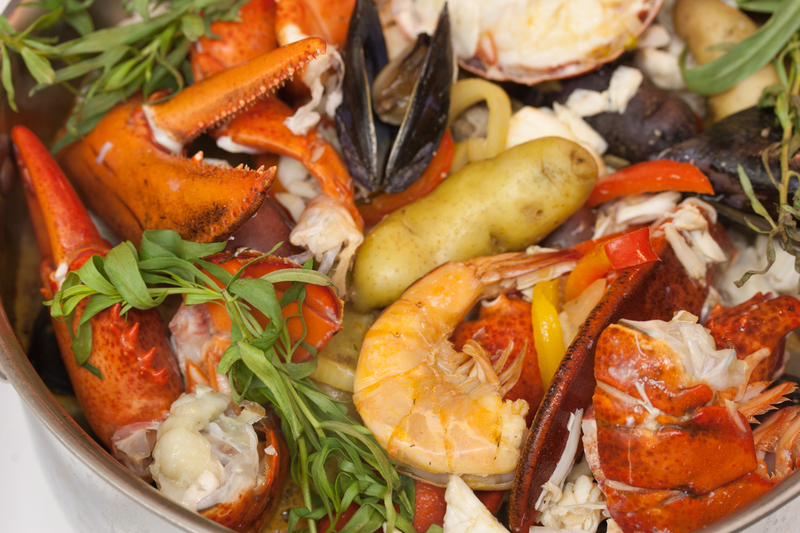 It is filled with lobster, clams, mussels, shrimp, and crabs. You can add any other fish you like, and squid is also a good addition. The recipe is lengthy, to say the least, but worth the effort and expense. Serve it with a light salad. 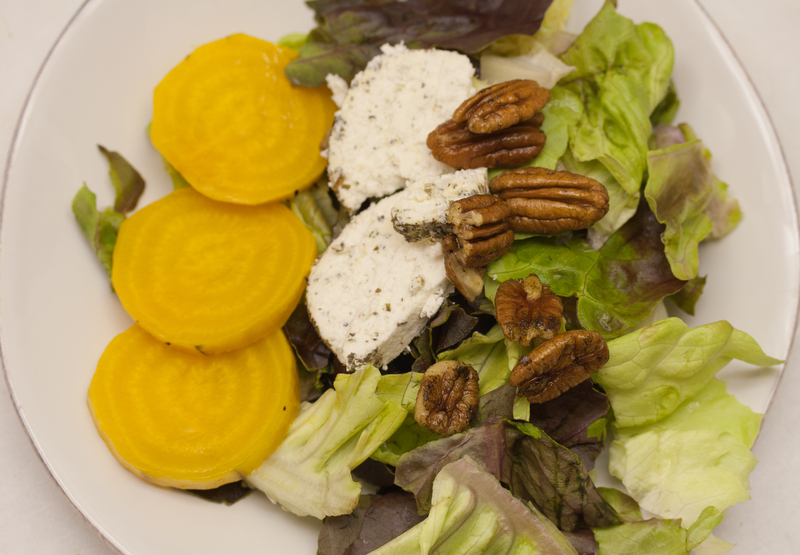 My daughter chose a salad of roasted golden beets, sugared pecans, and warm goat cheese on a bed of mesclun. She also served a crusty French bread for dipping after the shellfish and lobsters are all eaten. 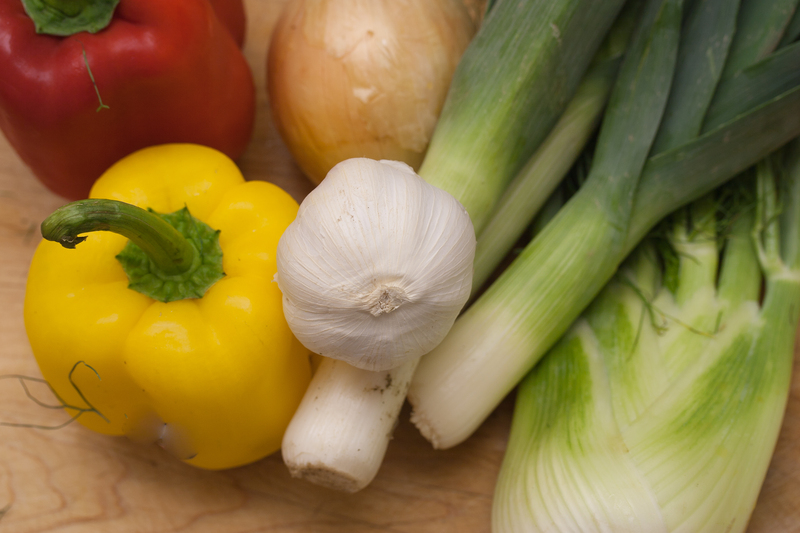 Bring at 3 gallons (12 quarts) of salted water to a rolling boil in a large pot. Plunge the lobsters in the boiling water, cover, and cook for about 4 minutes. 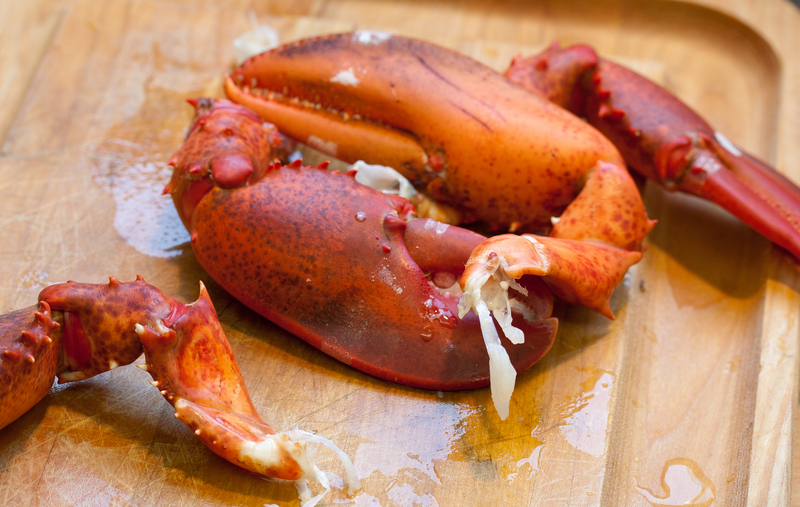 Remove the lobsters to a cutting board, twist off the large claws and return them to the pot for an additional 4 minutes. Separate the lobster heads from the tails. Cut the tails in half lengthwise and combine them with the cooked claws in a large bowl. Cover and refrigerate. 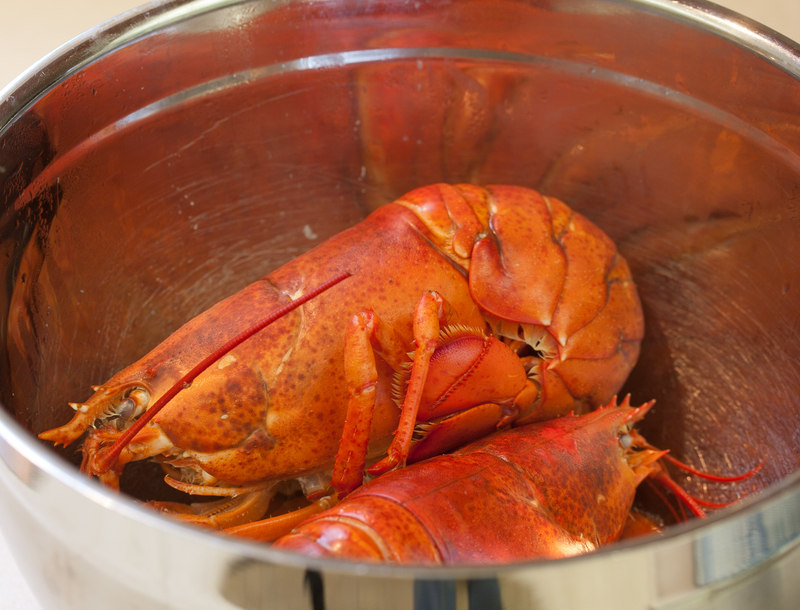 In a large stockpot over medium heat, heat the oil and then add the lobster heads. Cook for about 10 minutes, stirring frequently, until the lobster heads are bright red. Then add the fish stock, onions, fennel, leeks, and garlic. Reduce the heat to low, cover, and cook for about 5 minutes. 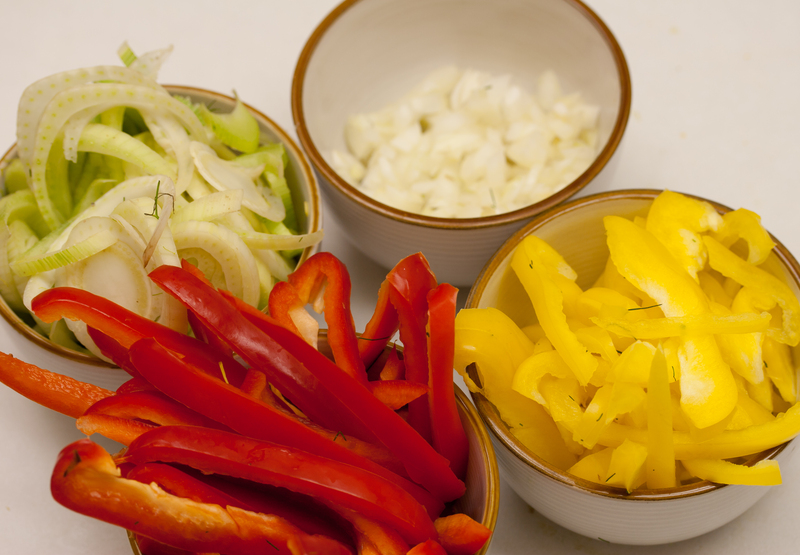 Add the fennel seed, white pepper, thyme, tarragon, star anise, saffron, paprika, red pepper, and bay leaf. Cook for 5 minutes. Then add the tomato paste, tomatoes, and wine. Raise the heat to high and cook until reduced to about half. Add the chicken stock and enough water, if needed, to cover the ingredients. Bring to a boil then reduce the heat and simmer uncovered for 45 minutes. Remove from the heat for 20 minutes. Then strain into a large container, pressing the solids to extract the flavor. Cook the fingerlings in a large pot of salted boiling water until tender, about 15 minutes. Set aside in the cooking water. Add the strained stock. Bring to a boil over high heat. Drain the potatoes and add them to the boiling stock. Add the shrimp. clams, and mussels. Cover and cook for 3 minutes. Then add the cooked lobster with its juices and the crab. Cook until all the shellfish open, about 3 minutes. In the meantime, prepare the bouilli butter. Blanch the orange zest in boiling water for 1 minute, drain, chop finely, and combine with paprika, star anise, fennel, saffron, cayenne, and white pepper. Add to the softened butter and combine throughly. Place the mixture on a plastic wrap, shape into a log, and chill for one hour in the refrigerator. Strain through a large colander into a large bowl. Transfer the shellfish and vegetables to a large serving bowl. Pour the strained liquid back into the stockpot and bring to the boil. Add Pernod and 4 tablespoons of the prepared bouilli butter. Then pour the soup into the serving bowl. Serve in large, deep soup bowls with plenty of good French bread for dipping.